I was going through my music library on my iPhone and here is one of the songs that I have. 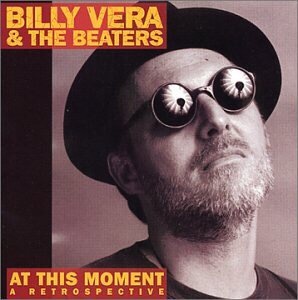 “At This Moment” is a song that was first recorded by Billy Vera & The Beaters in 1981 during a string of performances at the Roxy in West Hollywood (January 15–17) and featured on their self-titled live album, Billy and the Beaters, released that year on the American subsidiary of Japan’s Alfa Records. Then, when the song was included on several episodes of the NBC sitcom Family Ties during the 1985-86 season as the love song associated with Alex P. Keaton (played by Michael J. Fox) and his girlfriend Ellen Reed (played by Tracy Pollan, whom Fox eventually married in real life), the exposure renewed interest in the song.